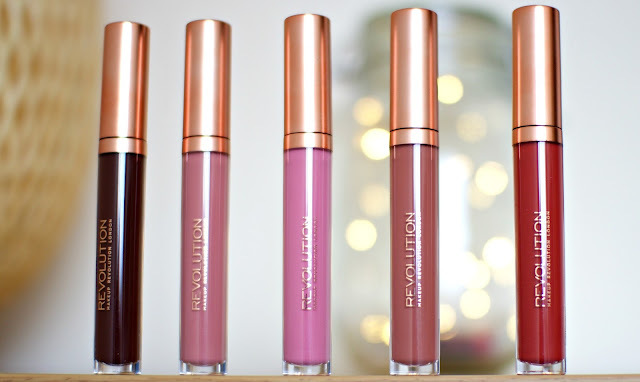 I think it's common knowledge that Makeup Revolution is an amazing brand not only for it's fantastic prices but also when it comes to bringing out products that have been inspired by those from the high end category. Retro Luxe Lip Kits are no exception, it's easy to see that they are a product of inspiration and are very similar to the Kylie Jenner Lip Kits. 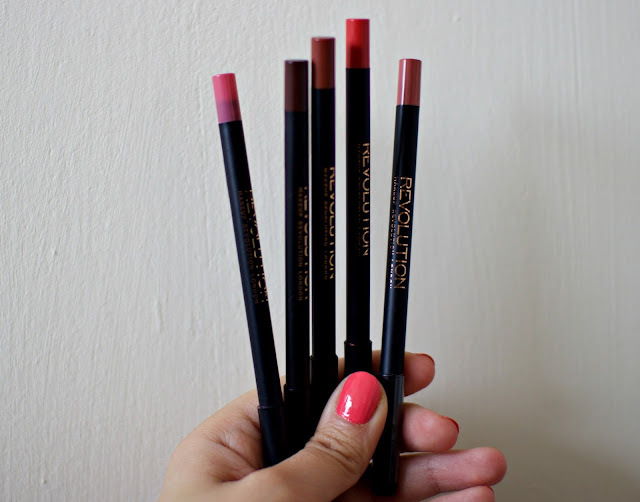 When it comes to 'dupes' Makeup Revolution can sometimes get it wrong, an example of this is the Cheek sticks that were meant to dupe the Nars Multiples, they were an utter disaster but in this case they defiantly go it right...... in fact they nailed it. Each kit comes in an individual box, as a packaging enthusiast / geek that pleased me greatly and you also get little more bang for you buck. The design of the boxes is actually really stylish, they do not look like a chapter brand at all, plus black and rose gold is there anything more blogger friendly than that? I think when it comes to packaging..... spot on! I picked 5 shades up and I tried to get colours that really showcased a variety of tones, the shade selection is really impressive especially offering both warm and cool tones. Each kit comes with both a lip liner and a matte lipstick, the liners are actually some of the best I have ever tried. I would be perfectly happy to pay the mere £6 for the liner alone as it's super rich and creamy. Unlike other launches similar to this they actually really compliment the lipsticks and are great for defining and maintaining the perfect pout. 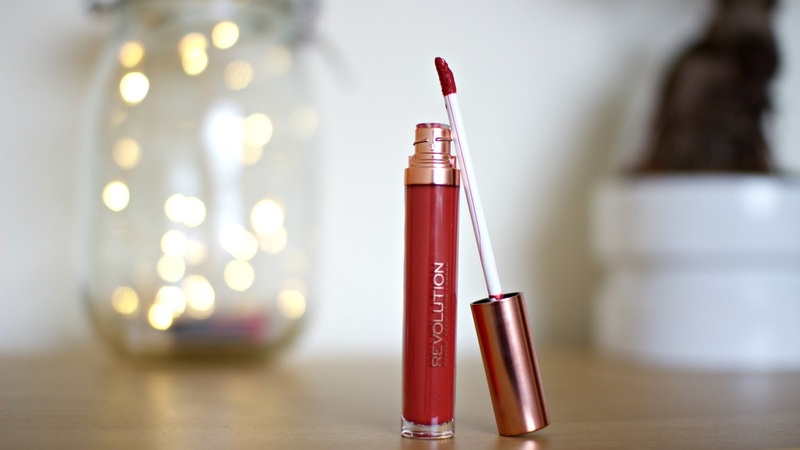 The lipstick formula is also super creamy and pigmented, a little goes a long way and they last really well too. 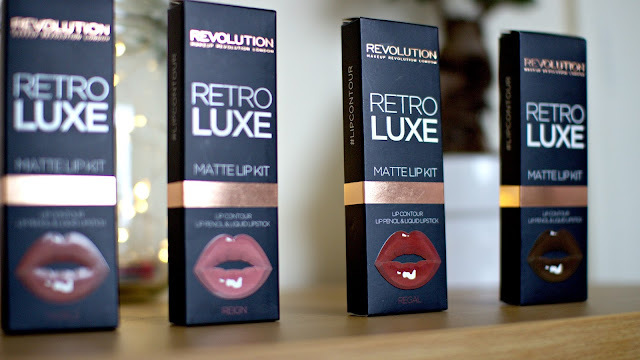 Because they are a matte formula they can be quite drying but I have experienced no flaking our creasing which can happen with cheaper matte formula's. 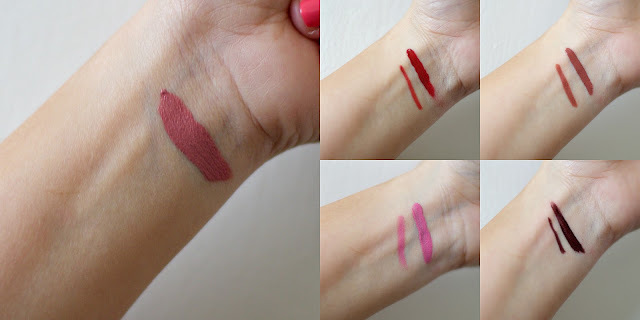 They are not as good as say the Huda Beauty Liquid Matte Lipsticks but you have to remember they are a third of the price and in my opinion they are well worth that. There is only one colour that I think is slightly different to what is depicted on the box, the pink shade Grandee looked more dusky and rosy on the box, as you can see from the above swatch it's much more like a bubble gum pink which is not suited to my tastes. Apart from that they are true to shade and are gorgeous colours that I will get tons of wear from. 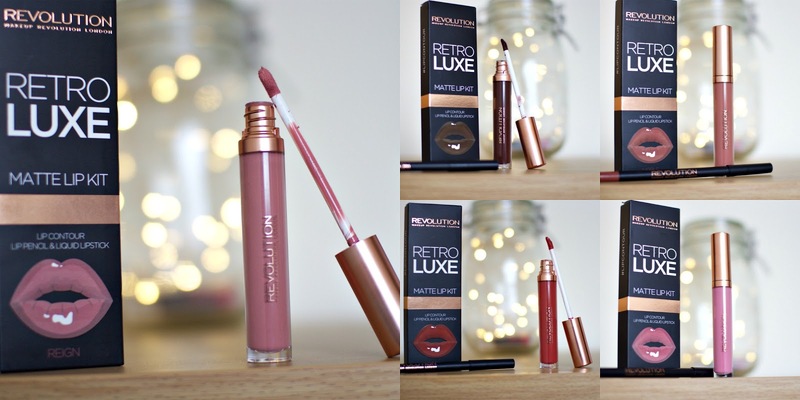 Shop the Retro Luxe Lip Kits & let me know your thoughts!